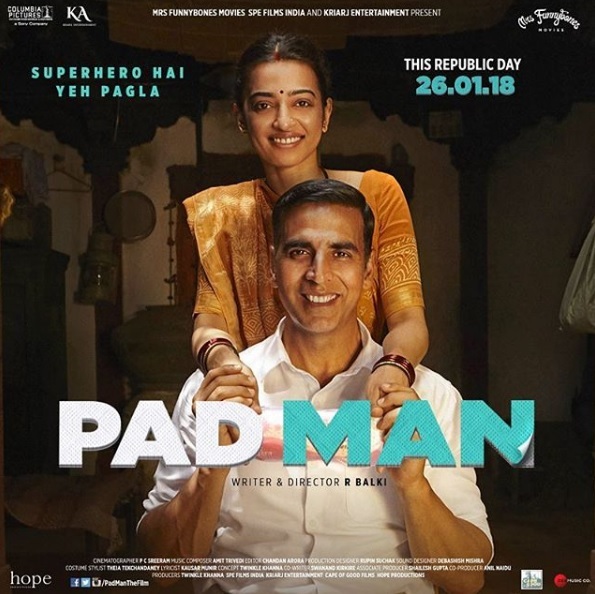 Two days before the release of the movie Pad Man starring Akshay Kumar, Sonam Kapoor, and Radhika apte, the conversation on menstrual hygiene and awareness has become a nation-wide phenomenon. Based on the life of Arunachalam Muruganantham, a social activist from Tamil Nadu whose life mission was to manufacture affordable sanitary napkins for women in rural Tamil Nadu, the movie has shattered taboos relating to menstruation – once a subject mentioned in hushed tones, that too only amongst women. 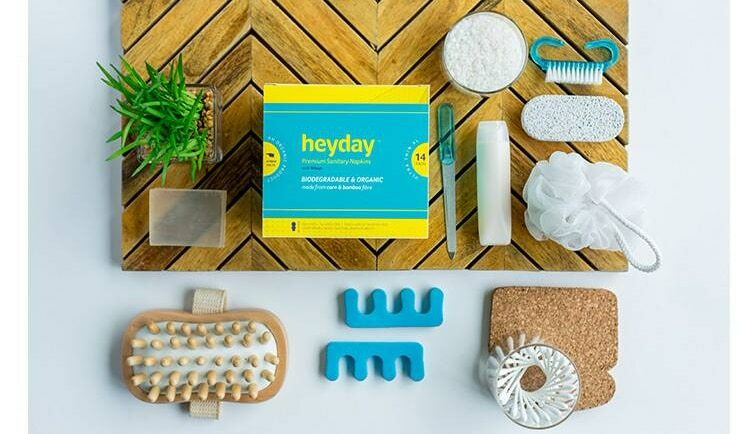 Going beyond the issue of lack of access to sanitary napkins by women across the country, Heyday seeks to also deal with the environmental problems that come with the average pad. 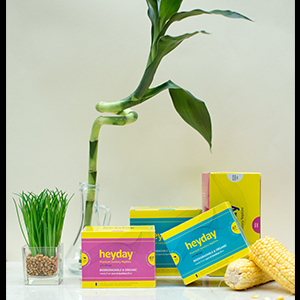 Completely organic and biodegradable, Heyday’s sanitary napkins are made from plant-based fibers of corn and bamboo that have three times the absorbing capacity of cotton. What truly makes it revolutionary is the complete lack of plastic in the product (regular pads are 90% plastic). They decompose within 6 months of disposal, thereby not adding to the 9000 tones of plastic waste that soiled napkins generate every year. But would something completely organic and biodegradable also be price conscious? Heyday checks that box as well. The highest price for a box of 14 napkins is only Rs.165. But Heyday isn’t the only brand that is looking to address the taboo of menstruation. Women are finally tackling the taboo head on. Fashion designer Pallavi Mohan has collaborated with graphic designer Neha Tulsian to create sanitary napkin packaging that is not only fun but has catchy slogans as well. There is a revolution in the making. We can feel it.